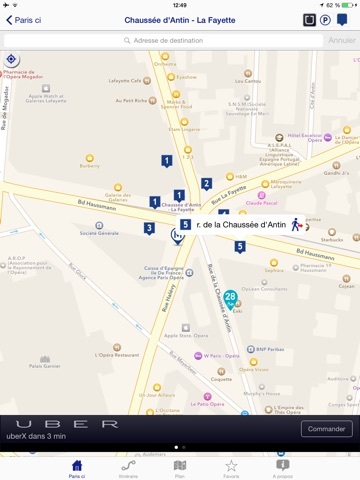 Paris ci la sortie du Métro is the only app which helps you to save time in Parisian subway, to avoid long walk on the platforms and plan wisely your trip. Spread the love, share the joy to save time. Just be late if you decide to be! - rate us on AppStore. Good rate, please! 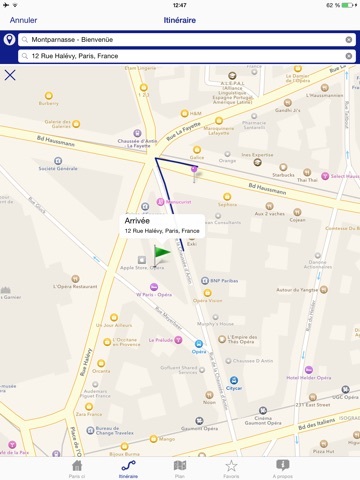 Plan where to stand with Paris ci la Sortie and shave minutes off every trip! 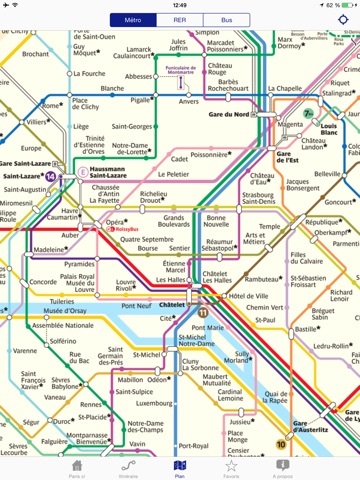 Get a map of the Paris Metro Subway in your pocket ! 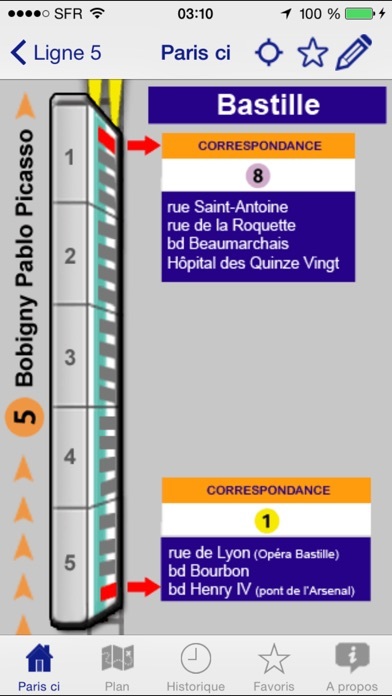 Know those amazing RATP Paris Metro neighborhood maps in each subway station? We've got them ! We wove them together into a giant quilt-like STREET MAP! Just tap on the location button (upper right corner) to see a detailed map of the surrounding area (works for all stops in). The map even has ADDRESS RANGES to help you figure out cross streets ! 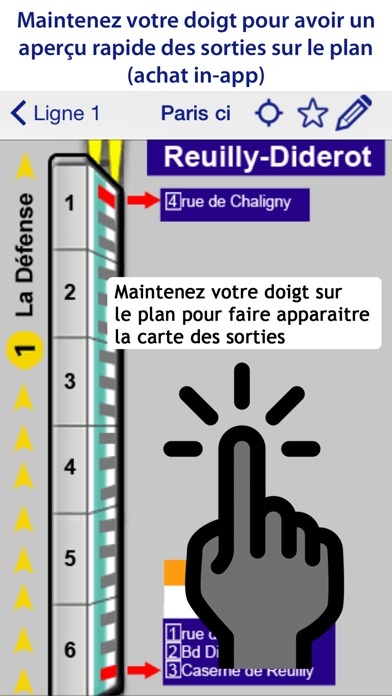 Sit in the right place in the Metro to exit in front of our transfer or exits. NO Phone service, No Internet Connection required !! 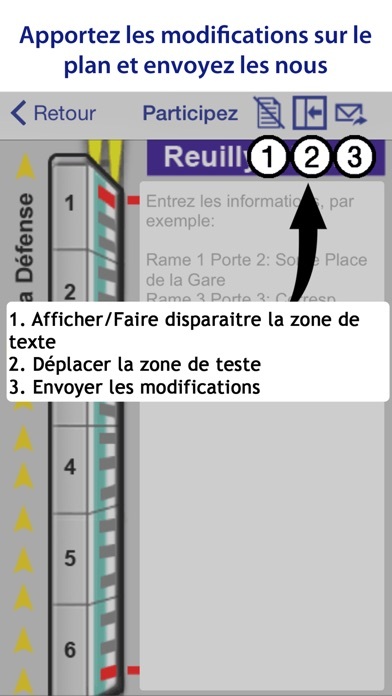 Paris Metro, RER and Buses Map included. 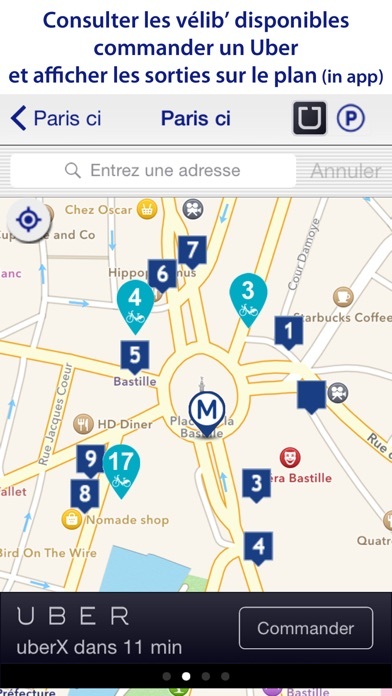 Recommended by AppStore, LE PARISIEN French Newspaper, seen on TV and magazine. 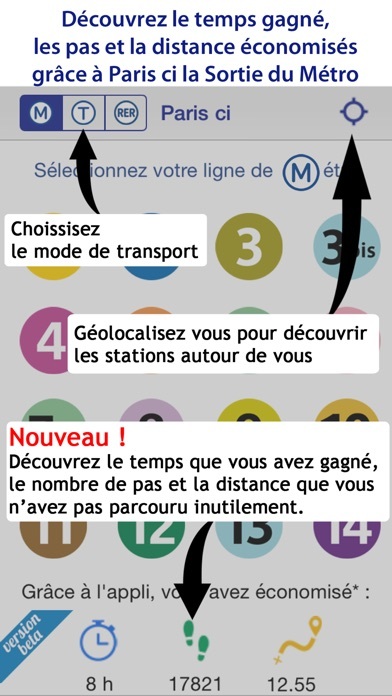 We are open to new ideas and suggestions, especially on RER stations maps in order to update our app. 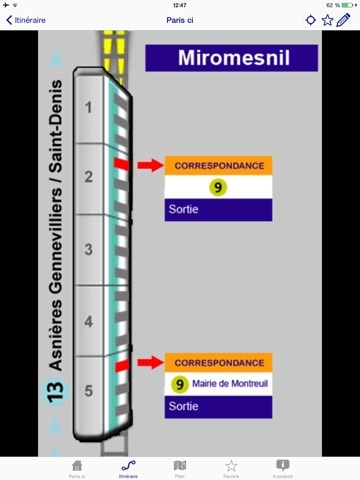 Visit Paris travelling in the metro like a Parisian and save time during your stay in Paris.